Geneva, 21 May 2017 – AMAC Aerospace is pleased to announce that a completion contract for a VVIP completion of an Airbus ACJ320neo has been awarded by Acropolis Aviation, to AMAC’s headquarters in Basel, Switzerland. This will be the first Airbus A320neo delivered by Airbus Corporate Jets for VVIP configuration. The launch customer for the ACJ320neo, Acropolis Aviation, is enhancing its bespoke aviation services with the addition of this VVIP aircraft. Building on the success of its existing Airbus ACJ319, the ACJ320neo will provide additional range via new high-efficiency engines and the addition of drag reducing sharklets. service to Acropolis Aviation in VVIP configuration in Q4, 2019. “With great pleasure, we have signed this completion contract with Airbus Corporate Jet’s launch customer, Acropolis Aviation, as one of the world’s leading private aviation operators, in our 10th anniversary year. This new completion project is based on the excellent reputation that AMAC has gained in the market which we continuously demonstrated over the last 19 VIP/ VVIP and refurbishment/ modification projects at AMAC Aerospace,” said Mr. Bernd Schramm, Group Chief Operating Officer, AMAC Aerospace. 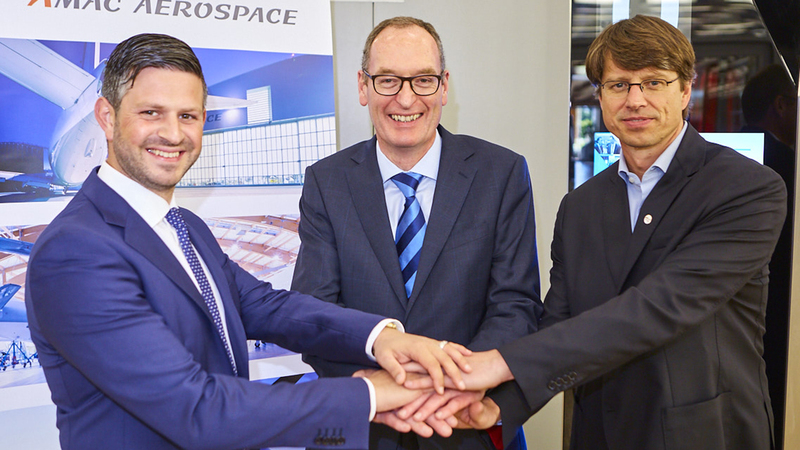 Acropolis Aviation selected AMAC Aerospace following an extensive and competitive six-month long tender process. “The quality offered by AMAC is second-to-none. We needed to select the right outfitter to bring Alberto Pinto’s amazing vision to life, and from our point of view AMAC demonstrated to us they had the skill and creativity to do this better than anyone else,” said Jonathan Bousfield, CEO of Acropolis Aviation. “We are extremely pleased to return to EBACE to announce this decision jointly with AMAC Aerospace and congratulate them too on a decade of success outfitting the finest VIP business jets. We are unable to store your data for marketing unless you opt-in via consent. Copyright © 2019 Acropolis Aviation. Unless you opt-in for marketing communications, we will be unable to send you any marketing materials, or keep you updated with any relevant news and updates. Your enquiry has been submitted and we will be in touch soon.